*Prices shown are based on the highest promotional discount. Refers to the way in which the blind will be hung, either inside or outside the window opening. Inside mount blinds are mounted inside the window frame opening that is recessed from the wall. 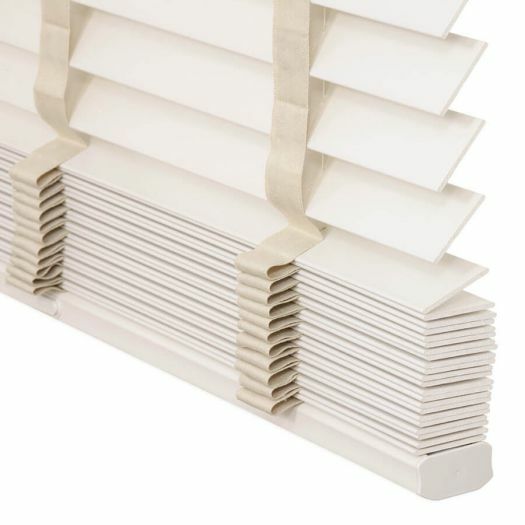 Outside mount blinds hang outside the window opening on a wood trim, wall or door. Inside mount is by far the most popular mount and provides a nice clean look and finish to your window. For inside mounts: please make sure to follow the Measuring Instructions on our site; do not make any deductions in your measurements, as our factory will make all necessary deductions to allow for mounting brackets. PLEASE NOTE Inside mounted blackout shades might have small light gaps come in from the edges of the shade. Please order outside mounted blackout shades if you prefer a higher degree of blackout. Inside mount requires exact measurements of the window. Especially the width. Not all blinds are made the same. Please provide us with the inside frame measurements. 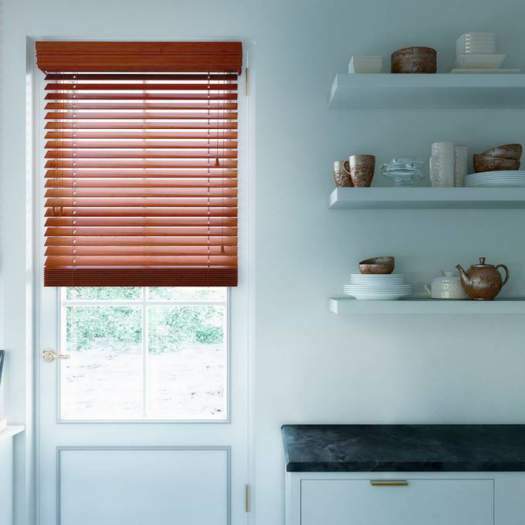 DO NOT use the measurements of old blinds. Also confirm that the depth is adequate for your window frame. 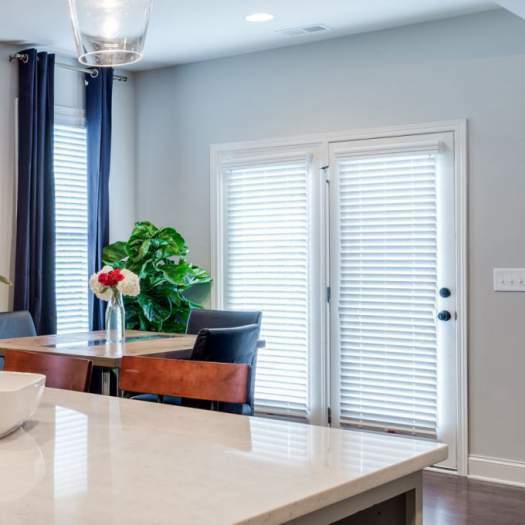 Outside mounted blinds or shades are installed outside the window frame or flat molding frame, with brackets mounted to the wall or flat molding frame. Add 2-4” for light gap coverage.  Select Optional Cloth Tape (+$45.99) ? Decorate and customize your window coverings to completely match your style with our selection of cloth tape. 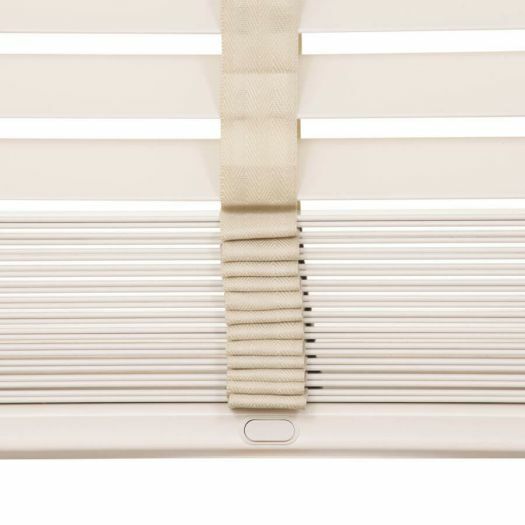 A great benefit of cloth tape is that they are mounted over the ladders of blinds, so they can mask any holes in these areas where light may come in through. 2 blinds or shades mounted on the same headrail. Typically this is to cover a large window where the size is too large to allow a single shade. Each blind or shade on the headrail will have its own set of controls so one blind may be open while the other is closed. We recommend splitting very large wood and faux wood blinds into two or three blinds on one headrail. 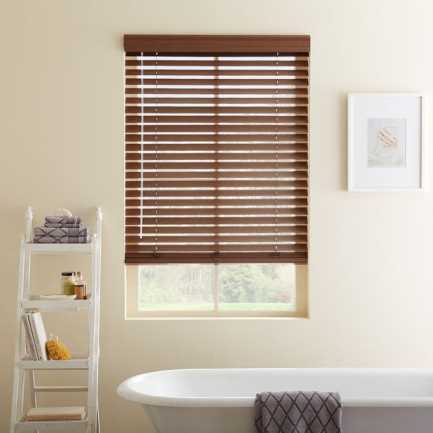 If it is recommended that your blind be split you can still choose to have it manufactured as one single blind, however, it will void the manufacturer's warranty. 3 blinds or shades mounted on the same headrail. Typically this is to cover a large window where the size is too large to allow a single shade. 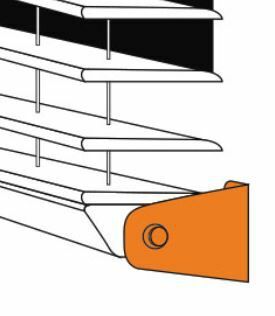 Each blind or shade on the headrail will have its own set of controls so one blind may be open while the other is closed. We recommend splitting very large wood and faux wood blinds into two or three blinds on one headrail. 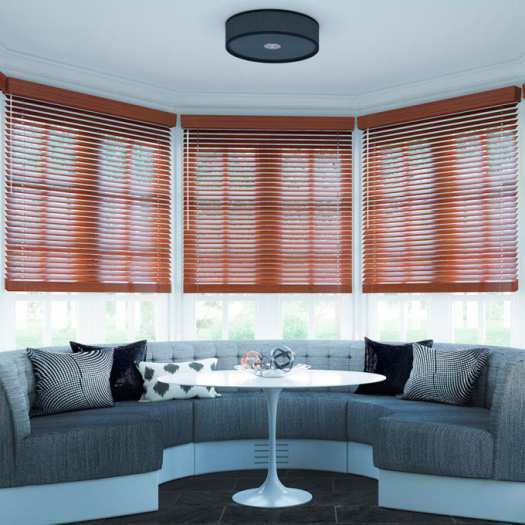 If it is recommended that your blind be split you can still choose to have it manufactured as one single blind, however, it will void the manufacturer's warranty. 2 Blinds on 1 Headrail (+$56.88) ? Location of the cord is used to open and close the blinds. Hold down brackets are used to secure the bottom of the blind. These brackets are extremely useful on French doors to stop the blind from swinging each time the door is opened. 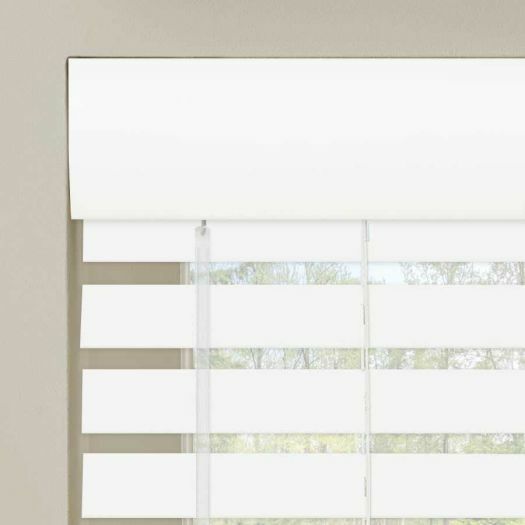 This feature allows you to order one valance to cover multiple blinds. 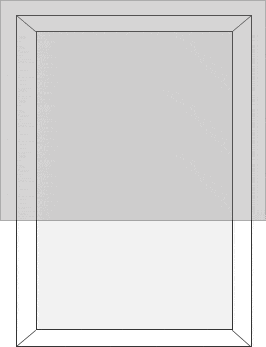 Please indicate the size you wish your valance to be in the notes section of your order. 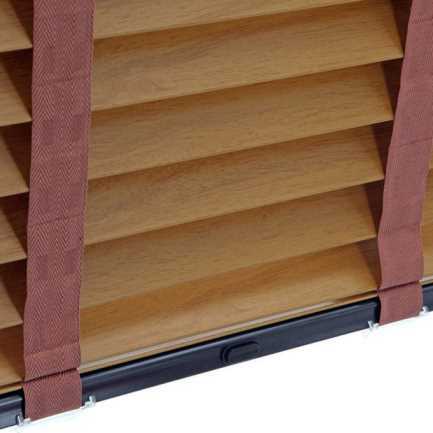 Note: If you are ordering the 2 on 1 or 3 on 1 option, then your blinds will come standard with a common valance so this option does not need to be ordered. Featured on ABC & E! 's hit TV show Extreme Makeover: Home Edition. 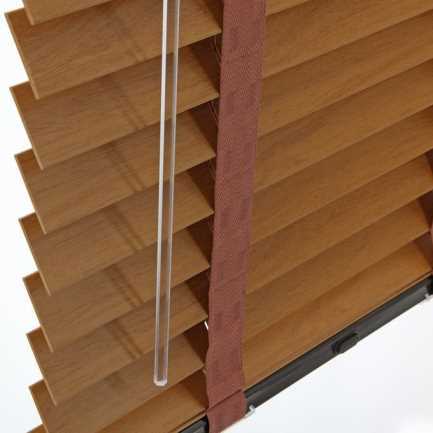 SelectBlindsCanada's Designer Faux Wood blinds are a great new alternative choice to wood blinds. They give the real look of wood stain, combined with the durability of faux wood. 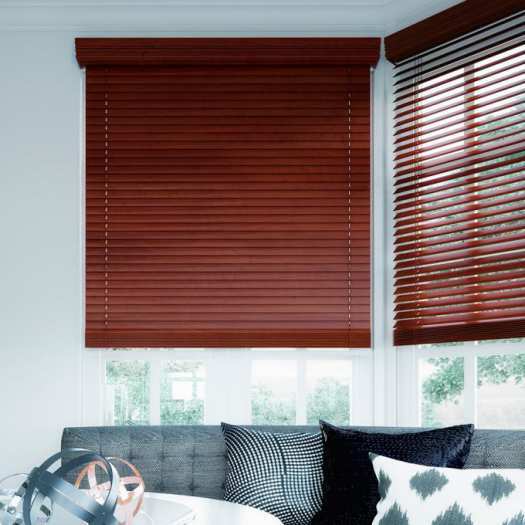 These Designer Fauxwood blinds are ideal if you are looking for a combination of a smooth wooden finish with the exceptional low maintenance and durability of faux wood.  Available in a wide choice of seven stain colours and four painted white colours. Get the best of both worlds with this faux wood product that gives your home the same great warmth and feel as does a wood blind. 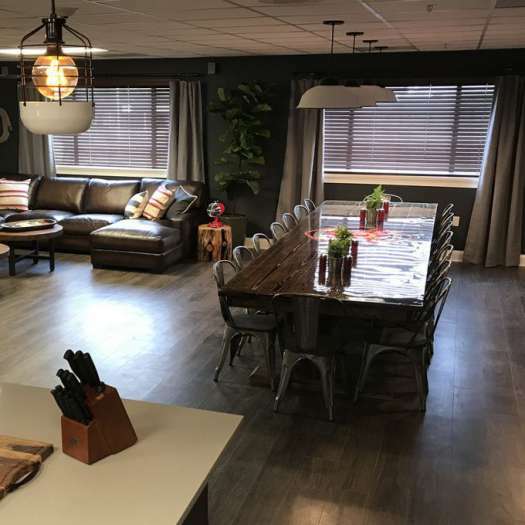 You really have to see Designer Fauxwood to believe it, so order your free samples today. 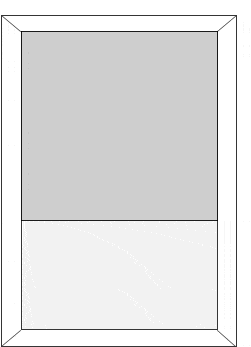 All Stains come with a Trapezoid Bottom Rail, Whites come with Rectangular Bottom Rail. Hold Downs Included With Every Outside Mount Order. Conforms with C.P.S.C. Child Safety Guidelines. Upgraded 3" Crown Valance Gives a Classic, Refined Look. Available as a 2 on 1 headrail option. 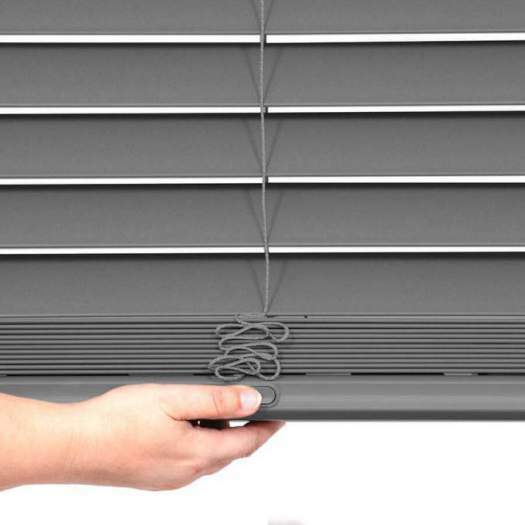 Blinds that measure 7" to 12" wide (net) are available with center cord-tilt only. Blinds ordered with wand control will come with coordinated wands, not wands at the exact same colour of the blinds. Outside Mount 13.5" - 20.125" or Inside Mount 14" to 20.625" may have split controls. 2" x 2 1/4" Full Size Metal Headrail. You will be able to add Professional Measuring & Installation at checkout, once you have added the products to your cart. 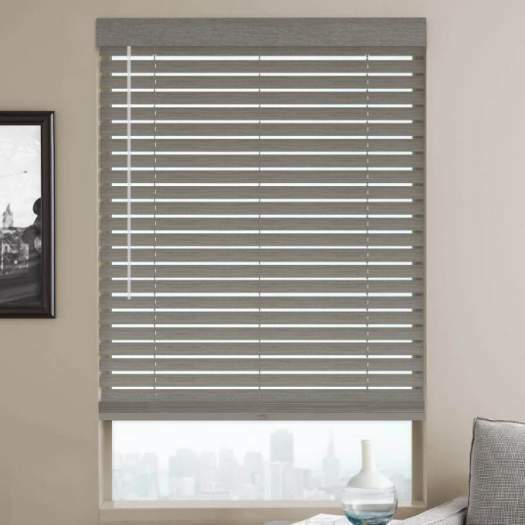 c. We will send you a Gift Certificate Code for $199 which you can then use when you place your order for Designer Blinds, Shades, and Shutters. This will allow you to add the $199 to your cart and not be billed twice.